We’re on the second week of our kitchen renovation (read week 1 recap here), and I’m a wee bit stressed. Then there’s this one section near the sink that is a hot mess. We need to sand some more and get it looking good, but at this point I feel like all we’ve accomplished is getting part of the ceiling finished. 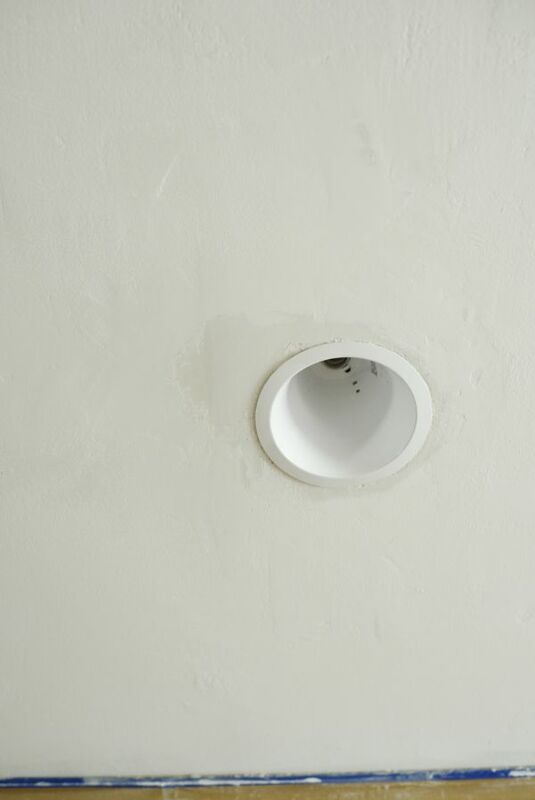 Plus, there’s so much dust and clean-up when you work on ceilings…I’m SO OVER IT, y’all. 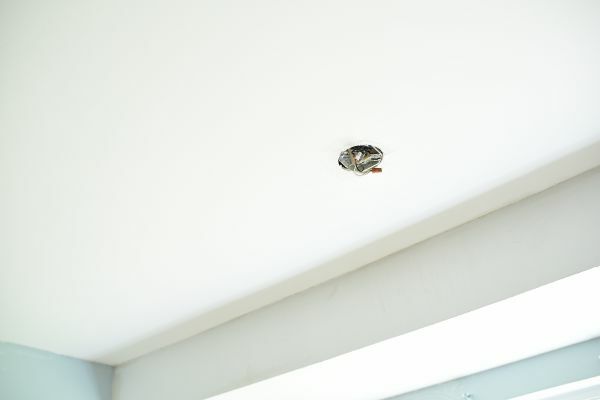 I’m a perfectionist at heart, so I really want this ceiling to look perfect. So, we’ll keep working at it until it is nearly perfect. I want to thank all of you who chimed in with your opinion on whether to go espresso/java or white. Espresso won by a landslide, but I still honestly have not made up my mind. I love the dark kitchen for its modern aesthetic, but a white kitchen looks so crisp and dreamy. I’m doing some test swatches to figure out my game plan, and once I commit I will post about it. Luckily choosing a new chandelier for the breakfast nook area by the window wasn’t that difficult. 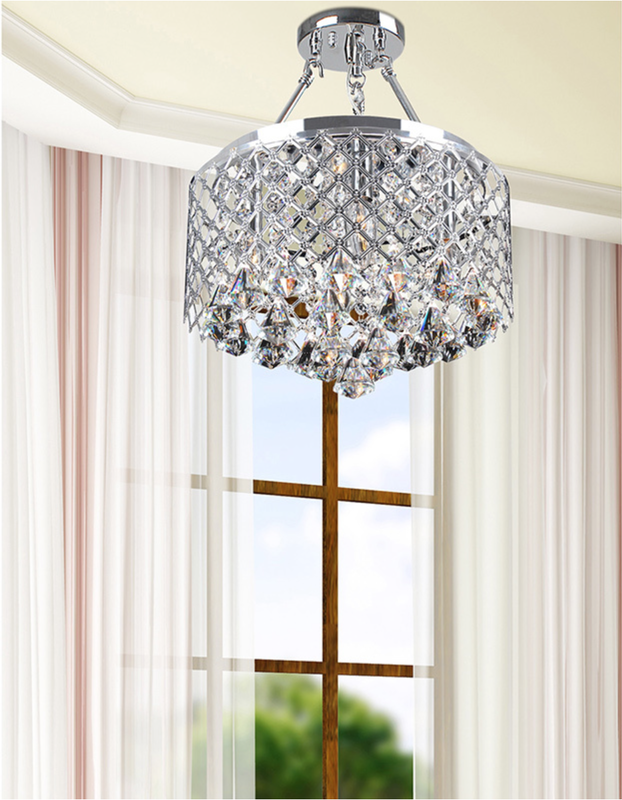 I ended up choosing this chrome chandelier beauty from Overstock.com. The chandelier will be placed inside the medallion I fell in love with at Amazon. I think ceiling medallions are an inexpensive way to give mega oomph to light fixtures. I also settled on a wall paint color IF we end up going the dark cabinet route. Revere pewter by Benjamin Moore (color matched at Sherwin Williams) is the most gorgeous greige color. It’s creamy, dreamy and just perfection. 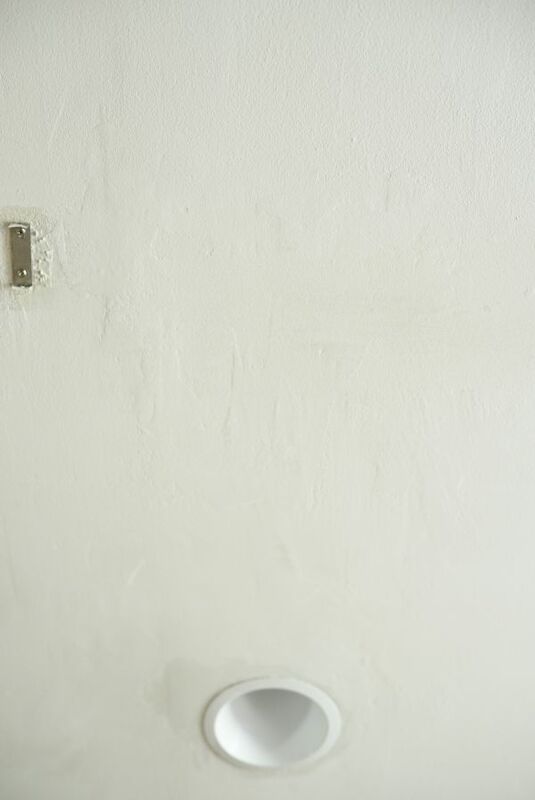 I think it’ll even look good in a white kitchen, so I suppose I’m set on this wall paint color regardless. Originally, we wanted open shelving in the area seen below, but now we’re thinking of adding a small TV so we can be entertained while cooking. So excited! I’ll be back on Wednesday with a review (finally!) of the aldridge dining table from Home Decorators that we bought last year. We’ve owned it almost a year, so it seems like a good time to attest to its durability and quality. See ya Wednesday! Oh getting walls and ceilings smooth and ready for paint can be such a total pain in the rear. Hang tough, you will get there and then you will love it. I hope so! I just want to see the light at the end of the tunnel already. Sigh. I can't wait to see your finished job. I think you should totally take mini milestone celebrations so you don't get overwhelmed. You could be like me who is STILL looking for a house It has been 18 months but I am not giving up. I will find what I like in my price range. ALSO PLEASE POST ON HOW YOU DO THE CHANDY step by step. I bought a similar one from jojo spring. BXC 70 EL if you want to see what I drooled over. 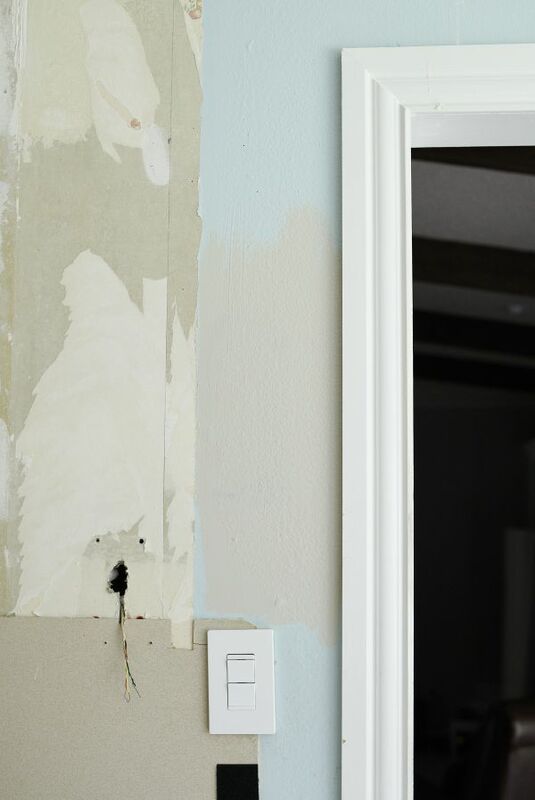 Ugh, I feel your pain…kitchen redos are a lot of work and seem soooo slow going! It will be so worth it in the end! Love the sparkly, blingy Chandy! Can't wait to see which way you go! Thanks, Amy! I hope to do some test painting/staining soon so I can narrow it down.